Urhobo Owho Soup is a delicious soup that Urhobo people from Delta State of Nigeria swear by. It goes well with yellow garri, starch, boiled yam and boiled plantains. Whichever you like, Owho Soup will not disappoint! You can also add native Urhobo salt. 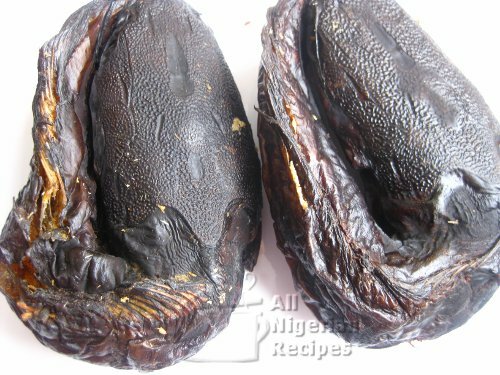 The classic Urhobo Owho Soup is prepared with palm fruit concentrate (banga oil). This is known as native oil in Urhobo land. If you have it use it instead of normal palm oil. 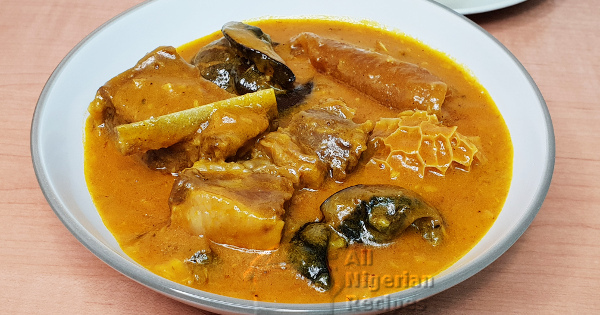 The recipe below is my intepretation of Urhobo Owho Soup. Soak the dry fish to soften. Mix the potash with a little amount of water and set aside. Clean, debone and separate the dry fish into medium pieces. Pour the palm oil in a small container, gently decant the potash water into the palm oil while stirring at the same time till the palm oil turns yellow and becomes thick. Cook the meats and stockfish with the seasoning cubes till soft. Blend the garri with a dry mill then mix it with some meat and fish stock to get a soft dough. See the video below. Add the dry fish, crayfish and pepper to pot, cover and continue cooking. After about 7 minutes, add the palm oil mix and scoop small lumps of the garri dough into the pot and continue cooking. 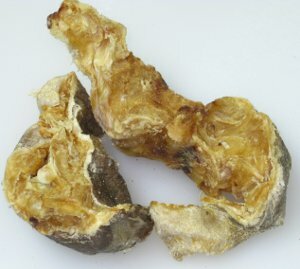 Do not cover it from the point onwards because it will boil over due to the edible potash in the palm oil. It is done when the lumps of garri have disolved and the soup is no longer foaming. 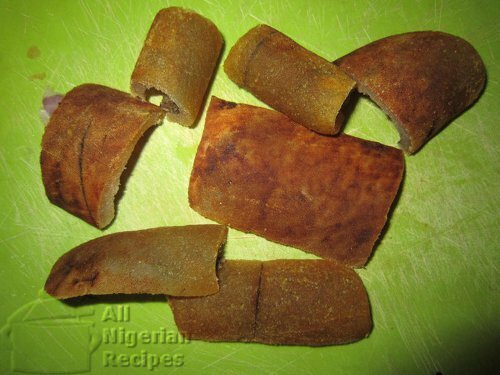 If you get the consistency you like for your soups before the garri lumps completely dissolve, remove the excess lumps. Stir very well and take it off the stove. 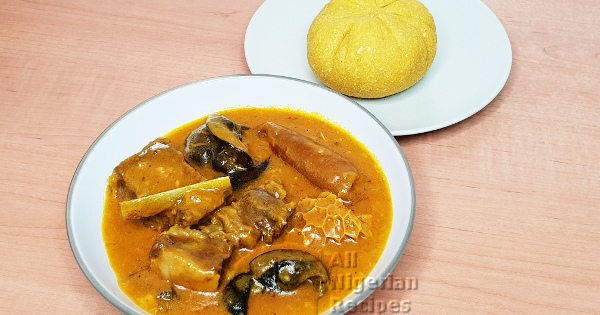 Serve with Yellow Garri (watch me make yellow garri from white garri in the video below), Delta Starch or any Nigerian swallow of your choice: Semolina, Pounded Yam and click here for many more.